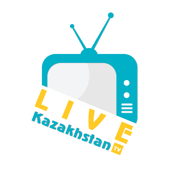 This Online Kazakh TV permits you to watch both local and universal Kazakh TV channels and listen to Radio over the globe. This imaginative iOS application is altered for iPad, iPhone and iPod and gives you a mind blowing chance to watch your most loved TV channels and listen to Radio. It likewise has channels just for kids containing cartoons, kid TVshows, kid TV shows from the 90s, Kazakh TV programs and so on. This shocking Kazakhstan national TV has different elements, among them are: •	Altering the dull parts and moving to the best part immediately. So you won't get exhausted and can make the most of your favored a portion of you program. •	Recording your most loved movies, news, TV appears, programs, and so on. •	Sharing what you're viewing through Facebook. •	Maximum quality even with the most reduced Internet and HD quality with the typical Internet. •	Screening and shooting any minute you like. You can catch the most fascinating and essential parts of your motion picture, program or appear. •	Editing and trimming recordings into smaller parts. Furthermore, you can take recordings of your cute project. •	Rotating channels effortlessly by a basic touch on your screen. •	Discovering huge number of Kazakh TV channels online beyond Kazakh Online TV application right on your gadget's touch screen interface. Watching colossal number of diverts in HD. Nothing will interfere with you to make the most of your TV. •	Searching the substance crosswise over gushing and publicize administrations. So you can rapidly look for and find something intriguing to watch with our exceptionally qualified iOS application. Moreover, if you are bad at Kazakh Language, then you do not have to take Kazakh Language lessons, this IOS application will be useful for the improvement of your dialect aptitudes. You can listen to Kazakh TV news, Kazakh TV music or Kazakh TV films with your iPhone, iPod and iPad and better your Kazakh dialect aptitudes. The huge number of channels is upgrading much of the time and gives you opportunity of decision. Our sophisticated professionals always strive to make the app better and update it all the time, in order to meet even the highest expectations of our users. So, don't miss the chance and download such a savvy application on your Apple device. If you find it difficult to find your favorite channel, please don’t hesitate just contact us by info@lastthink.com email address. All the time we are glad to hear your suggestions, recommendations and opinions. NOTE: We have selected data from the internet and if any assembly or constitution doesn’t want us to show the content of the unit, please recommend us to remove it. We follow TV rules and adjustments and we select original TV content data without fake editions.